Add custom arrow doodles to your content upgrades, lead magnets, ebooks, and your website! Or whatever project you can think of. Includes 40 PNG files in black for easy recoloring and color masks. 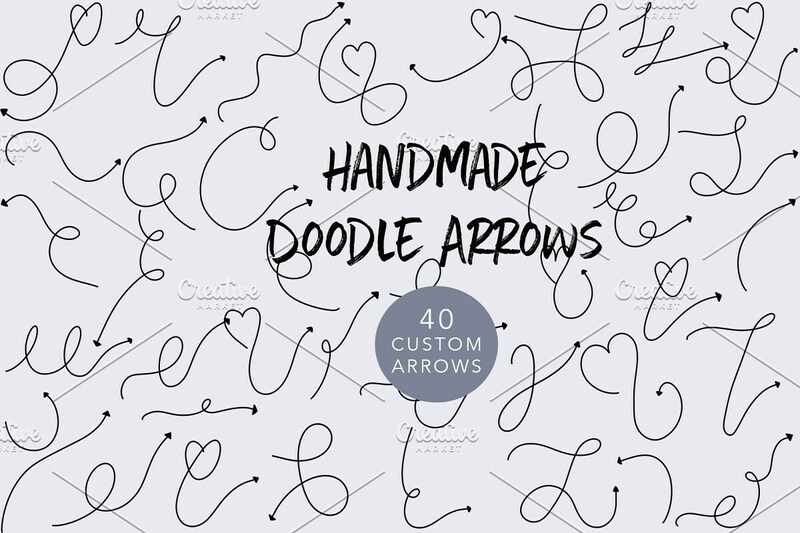 My Doodle Arrows Pack 1 has transparent backgrounds, 40 image files. The heart-shaped arrows are perfect for Valentine's Day! Image dimensions 2048x2048 pixels.